Leukoplakia is a condition wherein white or gray patches appear in some parts of the mouth, predominantly in the buccal mucosa and the tongue. However, leukoplakia is not limited as an oral disorder alone, as it may also appear in the genital area of the female. Moreover, it may be hyperkeratotic in nature, meaning there is hypertrophy or overgrowth of the stratum corneum. In addition, the patches in leukoplakia cannot be removed by the simple use of a gauze swab. Essentially, the World Health Organization or WHO have defined leukoplakia as the general name to distinguish plaques that are particularly white in color, which entails moot possibilities and having barred other identified disorders or diseases that bear zero risk for malignancies. Moving on, leukoplakia has a less than 2 to 3 percent chance of being malignant; however, it is very possible for it to progress to cancer. Furthermore, the condition is very common among tobacco users, especially those who use pipe. The condition may appear at any stage of the life span; however, it is most commonly seen in the elderly with an age range of 50 to 70 years old. Additionally, 80% of the people affected are over 40 years old. As an added information, leukoplakia is predominantly more common in males than in females, with it occurring twice as much in males. Interestingly, there has also been a case study citing a food allergy related to cinnamon-flavored chewing gum as a culprit for the development of oral leukoplakia. Hairy leukoplakia is an unusual, white or gray patch in the mouth, with rough hair-like projections. It closely looks like oral thrush seen in Candida infections, except that the patch or lesion cannot be removed by using a gauze swab. Moreover, hairy leukoplakia is most typically located in the lateral area of the tongue. Infrequent locations are other parts of the mouth such as the buccal mucosa. 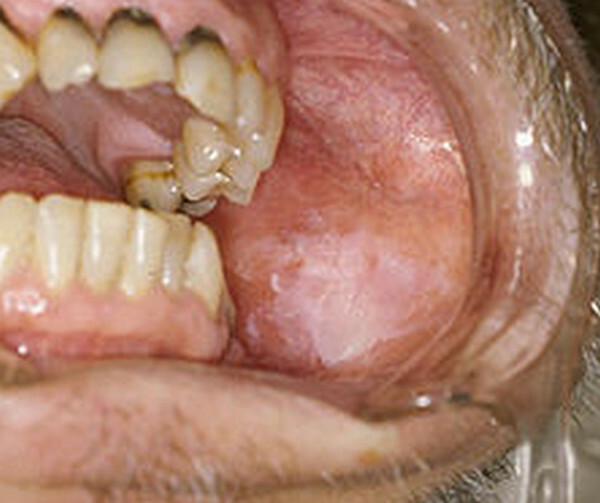 Hairy leukoplakia may be possibly viral in nature and is commonly seen in chronic smokers and tobacco users. Moreover, it is also often seen in HIV positive patients, as well as those with AIDS and other AIDS-related conditions. 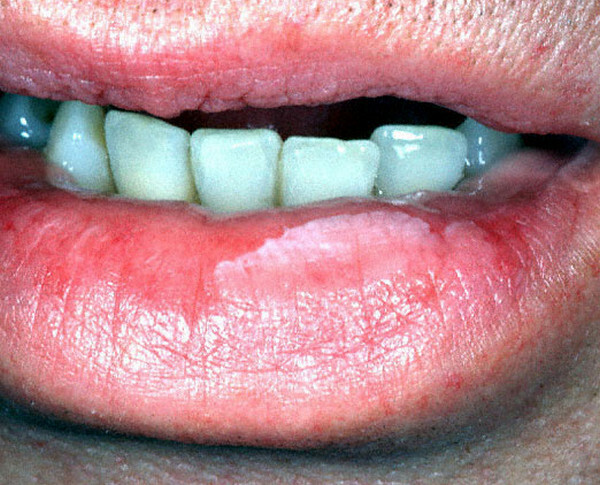 Hairy leukoplakia occurs in HIV positive patients mainly because the drugs and the disease itself significantly weaken their immune systems. Furthermore, cases involving bone marrow transplant may also predispose the patient to develop hairy leukoplakia because their immune systems are also considerably weakened in the process. Furthermore, patients who suffer from ulcerative colitis and Behcet syndrome have been reported to manifest instances of hairy leukoplakia. Lastly, hairy leukoplakia may be due to the infection of Epstein-Barr virus (the main culprit for the development of glandular fever) in the body. Although the virus is usually dormant, it may be reactivated by the use of certain drugs and/or when the immune system is significantly weakened by a disease condition or other factors. Qualified medical personnel such as a licensed dentist do the diagnosis of leukoplakia. The first step in the diagnosis would be thorough ocular observation, noting the above-mentioned characteristics and signs and symptoms. In addition, due to the fact that leukoplakia may resemble that of an oral thrush’s appearance, a biopsy may be done to rule out such, and also other conditions such as cancer of the mouth. In the biopsy, either a small piece of the lesion using a rather little spinning brush or the complete lesion per se is taken out from the affected area, and then sent directly to the laboratory for thorough and further examination and analysis of the specimen, usually through the use of a particularly specific imaging system. Most likely, the oral brush biopsy is the one considered to be done first; and if the result is positive, an excisional biopsy will then be performed for further analysis as well as confirmation. Lastly, differential diagnosis should also be done to rule out chemical burns, oral squamous cell carcinoma, white sponge naevus, lichen planus, submucosal fibrosis, frictional keratosis, discoid lupus erythomatosus and chronic candidiasis. 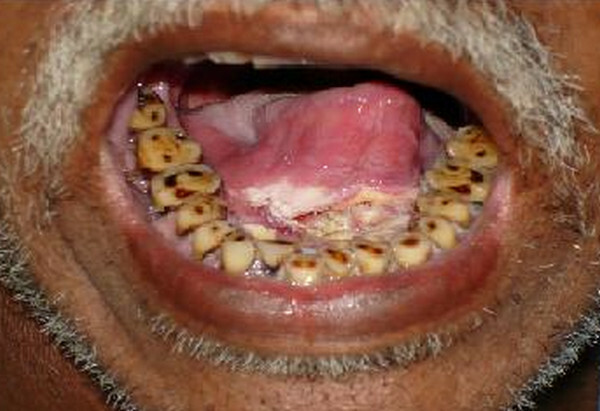 As mentioned in tidbits above, leukoplakia is predominantly a disorder of the mouth. It may affect any area of the mouth such as the tongue, roof of the mouth, gums and the insides of the cheek. Leukoplakia is a patch that is white to gray in color. However, there are instances when the leukoplakia may progress to reddish in color, otherwise known as erythroleukoplakia. It is usually not suddenly appearing, meaning it may appear progressively and slowly over a week or months time. The patch may be hyperkeratotic. Hyperkeratosis is by the way an enlarged, slightly raised keratin that is due to hypertrophy or overgrowth of the stratum corneum. 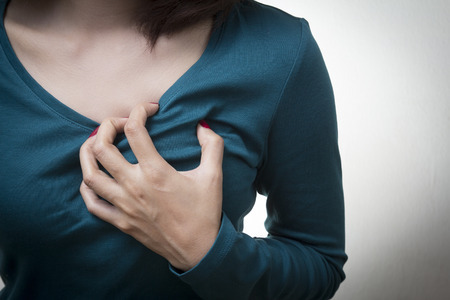 Over time, the hyperkeratotic tissue may roughen and harden at the surface. Furthermore, leukoplakia may vary in size. Leukoplakia is more often than not painless in nature; however, it may be sensitive to various irritants such as when it is exposed to spicy foods, hot drinks and liquids and touch among others. Moreover, a poor prognosis is observed in patients who are nonsmokers, females and those who have a moderate to severe epithelial dysplasia. Although leukoplakia is usually benign and does not pose a significant health risk, consultation with a doctor may be necessary if the condition persists for more than two weeks upon appearance and if there are persistent significant changes in the mouth and in the leukoplakia itself. Leukoplakia is almost always benign in nature with a very small chance of it progressing to cancer. However, it is important to provide careful and appropriate care to avoid future, avoidable problems. As it is said, prevention is always better than cure. The medical management of leukoplakia usually involves taking out the source of irritation, otherwise known as causal approach. For cases where ill-fitting dentures, fillings and rough, irregular surfaces are the cited causes, then readjusting those dentures and smoothening of those rough, irregular edges should be done. The dentist may also advice the patient to avoid extended exposure to the sun as it may cause the occurrence of leukoplakia. More importantly, the patient is advised to at least minimize, if not quit altogether the use of tobacco and smoking. In cases of hairy leukoplakia, the dentist may prescribe a systemic medication such as an antiviral medication. Example of this anitviral medication is Valcyclovir (Valtrex). Famciclovir (Famvir), on the other hand, deals with Epstein-Barr related leukoplakia by thwarting its replication process; however, it does not eliminate the virus from the body. Moreover, HIV positive patients are also prescribed an anti-retroviral medication. If in case the hairy leukoplakia still persists upon administration of an anti-retroviral medication, then that may indicate that the drug is failing to serve its purpose. Another pharmacologic option for treating hairy leukoplakia is the administration of topical agents such as a resin solution, particularly podophyllum; as well as tretinoin or retinoic acid. The resin solution is a combination of two customary plant roots and dried rhizomes. These topical agents may better the appearance of the lesion, however, they may still return upon stoppage of use. In addition, the patient should be informed about the possibility that these topical agents may alter their sense of taste or gustatory senses. Moreover, research studies have been started about the efficacy of Vitamin E or alpha tocopherol for the treatment of leukoplakia. However, further analysis is still underway. 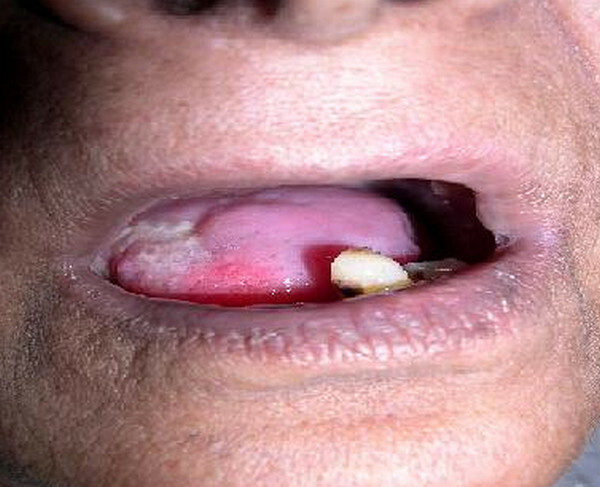 If in case, the elimination of causes is not effective, then surgical removal with or without autologous graft coverage of the leukoplakia may be necessary. An oral surgeon or a dentist through local anesthesia may perform the surgical removal. The surgical removal of the patches may be provided through the use of a laser ablation, a scalpel excision or a cryoprobe, which is a very cold probe that freezes the cancel cells over, thereby destroying or killing them. Reappearance or recurrence of the patches is fairly common, thereby it is important to schedule follow-up visits with the attending physician, preferably every 4 to 6 months. In between visits, the patient is also encourage to do self-examination of the mouth, noting significant changes such as recurrence and change in the size, color and surface texture of the leukoplakia. However, it is important that the patient do not self-medicate or decide his/her own treatment regimen. Always remember, to follow the scheduled follow-up visits for proper and appropriate treatment regimen. Since a large factor of treating oral leukoplakia is attributed to eliminating causal factors, supportive care should be provided to the patient. Supportive care includes guiding and being there for the patient during the quitting of tobacco use, smoking and alcohol consumption. As these factors are the major and leading cause of leukoplakia, it is imperative for the patient to stop its usage. More than 1/3 of the patients who quit smoking and alcohol altogether reported an effective resolution of leukoplakia. Furthermore, encourage the patient to consume plenty amounts of fresh fruits and vegetables, especially those containing high levels of antioxidants such as those fruits and vegetables rich in beta-carotene. Beta-carotene helps the prevention of leukoplakia by disabling harmful oxygen molecules that are damaging to the tissues. Examples of beta-carotene rich fruits and vegetables are squash, carrots and cantaloupes among others. Lastly, encourage the patient to practice good oral hygiene. Leukoplakia is more often than not harmless in nature that rarely progresses to cancer. Lesions brought about by the condition clears up after a few weeks or months after the causative factor is removed or eliminated.